Just as Americans are reacting to new medical literature encouraging the consumption of “healthy” fats, including eggs, an independent report has been released that focuses on widespread abuses in organic egg production and marketing, primarily by large industrial agribusinesses. Scrambled Eggs: Separating Factory Farm Egg Production from Authentic Organic Agriculture incorporates six years of research into organic egg production. The report is accompanied by an online scorecard rating various organic brands on how their eggs are produced in accordance with federal organic standards and consumer expectations. Cornucopia, a Wisconsin-based farm policy research group, also accuses the USDA’s National Organic Program of gross malfeasance in neglecting to protect consumers from fraud and ethical farmers from unfair competition, as Congress charged the agency to do. “For this report, we have visited or surveilled, via aerial photography/satellite imagery, a large percentage of certified egg production in the United States, and surveyed all name-brand and private-label industry marketers,” said Mark A. Kastel, The Cornucopia Institute’s codirector and senior farm policy analyst. “It’s obvious that a high percentage of the organic eggs on the market are illegal and should, at best, be labeled ‘produced with organic feed,’ rather than bearing the USDA-certified organic logo,” Kastel stated. According to industry lobby group the United Egg Producers (UEP), 80% of all organic eggs are produced by just a handful of UEP’s largest members. Most of these operations own hundreds of thousands, or even millions, of birds and have diversified into “specialty eggs,” which include organic. Meanwhile, as consumers have become concerned about the humane treatment of animals, and are also seeking out eggs that are superior in flavor and nutrition, a number of national marketers have found success in distributing “pasture”-produced eggs. “There is a fair bit of overreach and the exploitation of this term is well covered in our report,” Kastel explained. “The organic egg scorecard enables concerned consumers to select authentic brands delivering the very best quality eggs regardless of the hyperbole on the label,” he added. Cornucopia’s report focuses not on the size of some of the mammoth agribusinesses but rather on their organic livestock management practices. It says that most of these giant henhouses, some holding approximately 200,000 birds, provide no legitimate access to the outdoors, as required in the federal organic regulations. The new report comes at a critical juncture for the organic poultry industry. 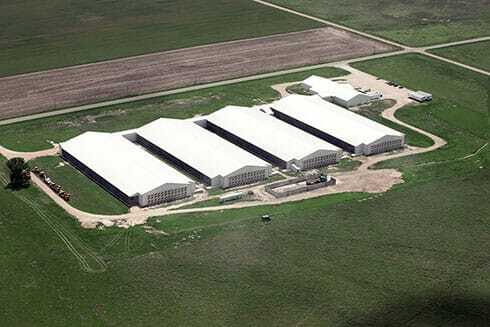 After failing to persuade the USDA to investigate alleged illegalities (i.e., confinement of animals without outdoor access) on numerous concentrated animal feeding operations (CAFOs), Cornucopia contracted for aerial photography of a number of the nation’s largest organic egg operations. 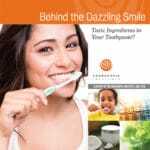 Without even conducting an investigation, the USDA closed a second set of formal legal complaints earlier this year, which was backed up by Cornucopia’s photographic evidence as well as state regulatory documents. The USDA’s action, along with other alleged improprieties, resulted in The Cornucopia Institute filing formal ethics charges against the National Organic Program’s staff director, Miles McEvoy, and asking USDA Secretary Thomas Vilsack to remove him from that post. Thousands of proxy letters have been collected from organic stakeholders, addressed to Secretary Vilsack, calling for Mr. McEvoy’s removal. 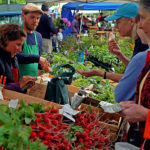 “Many of these industrial-scale operators are gaming the system by providing tiny enclosed porches, with roofs and concrete or wood flooring, and calling these structures ‘the outdoors,’” stated Paul Nehring, a livestock producer with firsthand experience pasturing organic chickens and a farm policy analyst with Cornucopia. “Many of the porches represent just 3% to 5% of the square footage of the main building housing the birds. That means 95% or more of the birds have absolutely no access whatsoever to the outdoors,” Nehring explained. “If one animal has the legal right to be outdoors, then all animals have the same right, whether they choose to take turns or if they all choose to be outside at the same time,” said Jim Riddle, a Minnesota organic farmer and former chairman of the USDA’s National Organic Standards Board (NOSB). At meetings of the NOSB, United Egg Producers represented industrial-scale producers and publicly opposed proposals to strengthen regulations requiring outdoor access. In a third effort to legally compel the USDA to act, Cornucopia has again filed formal complaints against several of the independent certifiers, working under USDA supervision, and the poultry companies that either offer their birds no access to the outdoors or “faux” outdoor access — very small enclosed porches. “An important subset of organic farmers even go far beyond the minimum requirements in the organic standards: not just providing access to the outdoors but rotating birds on high-quality pasture,” affirmed Kastel. However, Cornucopia’s report reveals that, as pastured eggs have gained cachet in the marketplace, a few national marketers are attempting to cash in by using the “P-word” to describe eggs from fixed houses, some containing as many as 20,000 birds. Cornucopia contends that all organic chickens should be outdoors with that kind of Enhanced Outdoor Access, providing up to 108 square feet for each bird. 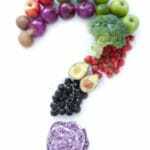 “These entrepreneurs are complying with what organic consumers think they are getting from all packages labeled organic,” Kastel stated. 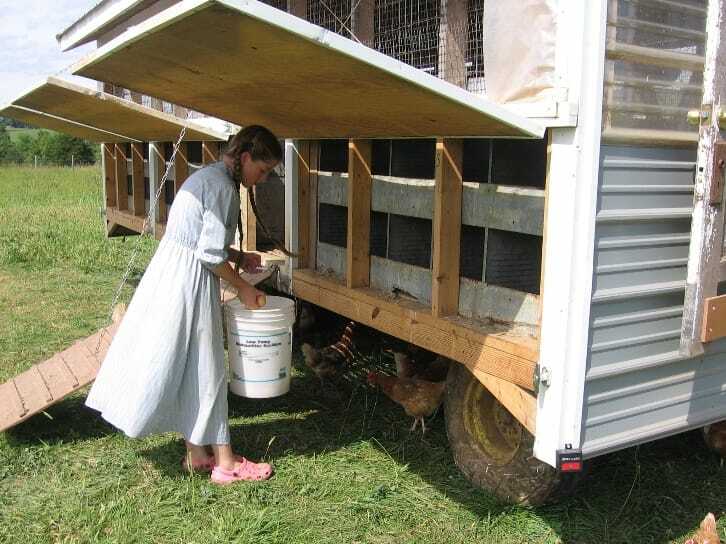 The report also profiles some producers that Cornucopia describes as “the gold standard”: those with mobile chicken coops rotated frequently in pasture. Some, like Alexandre EcoDairy Farms in Northern California, with 25,000 birds in 16 movable henhouses, are proving they can scale-up the model without diminishing the integrity. “When consumers buy organic eggs, I think they expect that the hens were out on pasture, enjoying fresh air, running around, foraging in the pasture,” said Stephanie Alexandre. The Alexandres have expanded to meet the market demand of larger retailers, selling their eggs under the Alexandre Kids label to Whole Foods stores in Northern California, North Coast Co-op in Eureka and Arcata, California, and even select Costco stores. The brand has earned the top, “five-egg” rating on Cornucopia’s scorecard. Laying hens living on pasture-based farms tend to be under less stress, due to their greater opportunity to exercise and ability to engage in instinctive foraging behaviors that lessen aggression toward their flock mates. Pastured hens also frequently live longer productive lives instead of the one year that is common on industrial-scale farms. On the other side of the continent, one of the other high-integrity organic egg producers is a group of 10 Mennonite farm families in Virginia. One of their producers told Cornucopia researchers, “Our hens are healthy, live longer, and produce better-tasting and more nutritious eggs. How can you go wrong with pasturing?” The group markets their eggs under the Shenandoah Family Farms brand, available at Whole Foods stores and co-op grocers in the Washington, D.C. area. Organic customers are also increasingly aware of a growing body of scientific literature confirming the nutritional superiority of eggs when the birds have an opportunity to eat fresh forage, seeds, worms, and insects. “Part of our intent, and the basis of this research and report, is to protect the livelihoods of family-scale organic farmers,” said Dr. Linley Dixon, a Cornucopia policy analyst. “These farmers are being placed at a distinct competitive disadvantage by corporations that are more than willing to ignore the rules and cut corners in pursuit of profit,” she said. One producer whose pastured poultry operation was squeezed out of business is Ivan Martin, of Natural Acres in Millersburg, Pennsylvania. He told Cornucopia researchers during their site visit, “Consumers saw my [legally produced] eggs next to other so-called organic eggs bearing the exact same USDA Organic label, and probably thought they were equivalent in terms of outdoor access and nutrition. We could not compete with those [factory farm] eggs,” said Martin. 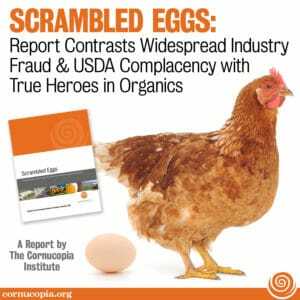 “Until the USDA decides to enforce the law, consumers and wholesale buyers can be empowered in their purchasing decisions by accessing Cornucopia’s Scrambled Eggs report and the organic egg brand scorecard,” said Kastel. Both can be viewed at www.cornucopia.org. “The commercial size egg industry — both conventional and organic — has great concerns with birds having outdoor access,” wrote the United Egg Producers in testimony before the National Organic Standards Board (NOSB). “These giant ‘factory farms,’ or concentrated animal feeding operations (CAFOs), generally produce eggs from caged birds, but they have diversified, depending on which way the marketing winds blow, to what the industry refers to as ‘specialty eggs,’ such as ‘cage-free,’ vegetarian, omega-3, and the organic label,” Kastel said. “Whether it’s laying hens for eggs, hogs for meat, or cows for dairy, organic customers expect livestock to be treated with respect and in compliance with the USDA standards,” added Kastel. “The good news in this report is that, although the vast majority of organic eggs are coming out of industrial complexes, in every market there are farmers and brands that meet the high expectations of organic consumers,” Kastel explained. “Now the USDA needs to step up to protect these producers from unfair, if not illegal, competition. Congress gave the USDA the authority to protect these farmers from unscrupulous competitors. It needs to wield that power!” he urged. The NOSB has a proposal pending that would require a minimum of 2 square feet, both indoors and outdoors, for organic laying hens. “That proposal is a joke and an insult to consumers and farmers practicing true organic methods,” said Kastel. Cornucopia notes that probably the biggest name-brand organic egg purveyor, the farmer-owned cooperative Organic Valley, requires 5 square feet outdoors for their birds. European organic regulations require 43 square feet per bird. Three companies noted in Cornucopia’s report are affording “Enhanced Outdoor Access” for their birds, with 108 square feet per hen.